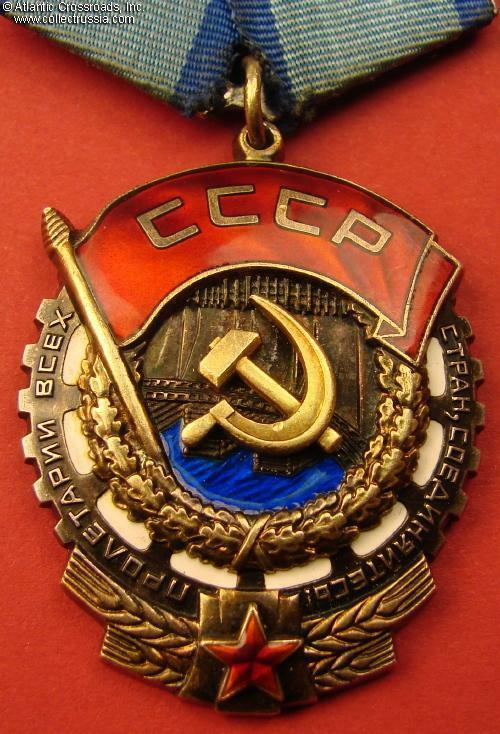 Order of the Red Banner of Labor, Type 6 Variation 2, #534077, circa late 1960s. Silver gilt, enamels; measures 47.5 mm tall (incl. the eyelet), 36.8 mm wide. Riveted three-piece construction. 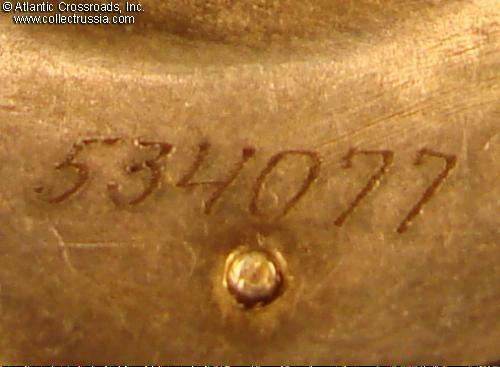 The serial number is engraved with a rotating tool. 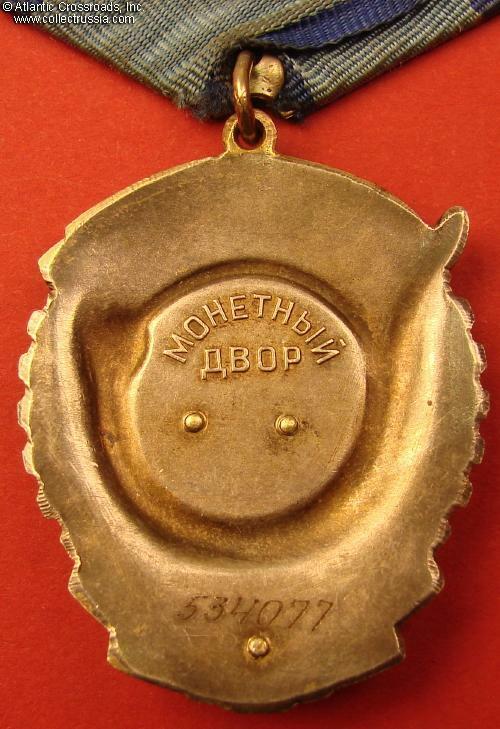 The order is from the series of 15750 specimens manufactured in 1966 by the Leningrad Mint. In excellent condition. The enamel is practically flawless, completely free of any wear noticeable to the naked eye, and retains beautiful luster. 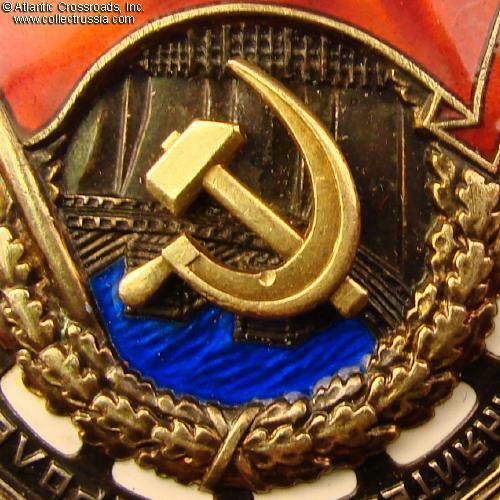 There are some small dings to the hammer & sickle emblem and one of the letters "C" but they are not to detractive and don't affect the enamel. The gilt finish is nicely preserved, nicely accentuated by silver patina. 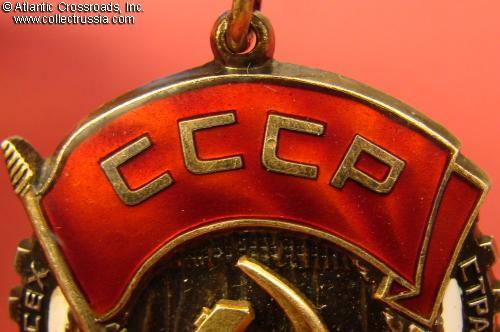 Very attractive even toning to silver on both sides. Comes on original suspension, a two-layer model in steel, with perfectly preserved old ribbon. 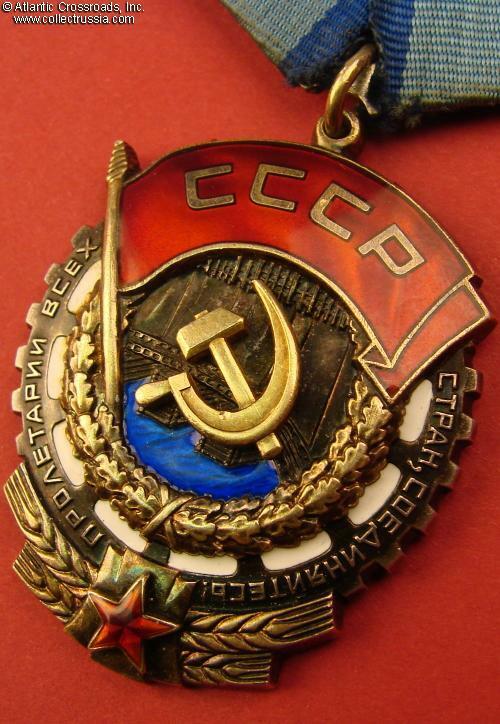 The connecting link is original and hasn't been cut.